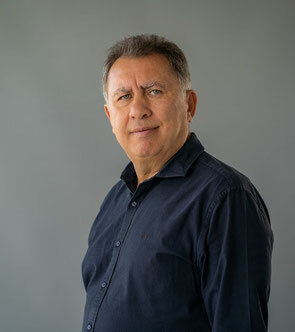 Our Chief Architect Juan Pacheco has been registered in the College of Architects of Murcia Spain since 1980 with Nº 772 and in Alicante (Valencia) with Nº 6145. He was elected on the 21st of January 1987 into Corporate Membership of the Royal Institute of British Architects with nº 20014310. The Practice has been engaged producing architecture in Spain for more than 25 years. Our experience in the field of architecture both in Spain and United Kingdom has been varied and extensive, having built individual homes, apartment blocks and complete developments as you can see on our projects shown in this web. The experience of this practice ensures that the interests of our clients are preserved both from the technical and economic point of view.